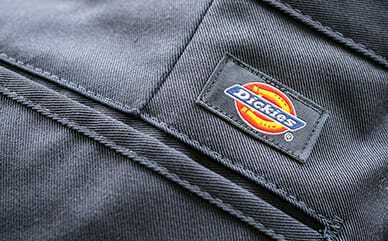 Add a little fun to your overall denim look with Dickies Girl 5-Pocket Pin Stripe High Rise Skinny Jeans. These jeans are made with a contrasting pinstripe that stands out from the rest of your everyday denim. The cotton blend makes them extremely durable, while a touch of spandex brings the softness and comfort for all-day agendas.